Spring 2015 and I'm again preparing for some trips: attending the AES 138th Convention in Warsaw beginning of May. I have made arrangements with the people running the AES bookstore in Warsaw to also carry Linear Audio publications, so if you are missing some, pick them up at a nice discount! Ask for me at the bookstore - I'd love to chat with you on anything audio! Then, after a several years lapse, I'm going to visit the Munich Hi-End show immediately after the AES convention. I know, it's mostly about the commercial side of audio, but there's so much to see, so much to listen to and, so many audio friends to meet and have a beer with, I reall can't stay away! Its that time of the year again! 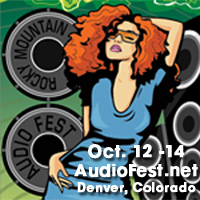 Am packing my bags to fly to Denver for the Rocky Mountain Audio Fest. This year we will have a nice diy-audio corner in the Lobby (booth 15), behind the check-in counter. 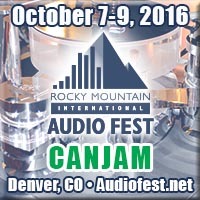 We will have stuff from Elektor USA, AudioXpress and of course my own Linear Audio. 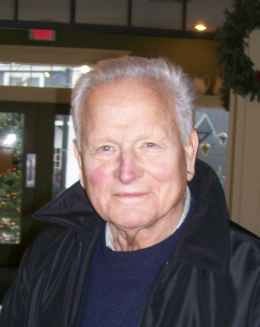 Bob Cordell will be there too showing his VinylTrak phono/preamp. Be sure to look us up for a chat or serious diy stuff - you're all welcome! See you in the Marriott Denver Tech Center, we'll be there the whole show! Linear Audio goes to Budapest! Linear Audio goes to Budapest! The European spring convention of the AES (the 132nd) will be held in Budapest, Hungary, end of April. Linear Audio will have a stand to present our publications - Linear Audio Vol 0, 1, 2 and the new Vol 3, as well as the 'Baxandall & Self on Audio' Collected Papers. Come and see me, to get copies or just to chat! Linear Audio presence at US tech audio shows It's getting closer to the time of the tech audio shows in the US! I'm gearing up to attend several shows. 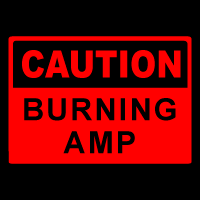 First is the Burning Amp Festival in SF on October 1st. Lectures by Nelson Pass and Douglas Self, loudspeaker demos by Siegfried Linkwitz and, the main part, lots of diy equipment displays and listening. Sponsors include audioXpress. Don't miss it!